Synopsis: In 1940, the entire population of Friar, New Hampshire walked up a winding mountain trail, leaving everything behind. 2008: the first official expedition into the wilderness attempts to solve the mystery of the lost citizens of Friar. 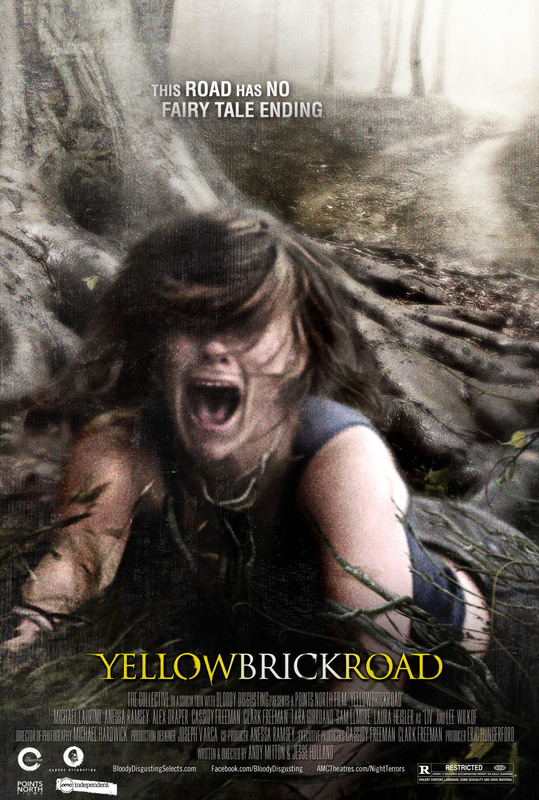 My Quick Review: YellowBrickRoad (YBR from now on) is the first feature from writers/directors Jesse Holland and Andy Mitton, whose segment in Chilling Visions: 5 Senses of Fear, was one of the highlight of the movie. Music, and its influence on people, is a recurring theme in both of those stories. In YBR, the music is a conduit that drives people to madness while they are hiking on a secret trail through the woods. While not getting into too much details, it’s never really explained how or why the music is being played on the trail but it doesn’t really matter since YBR is more about the journey than the destination (there are plenty of The Wizard of Oz references throughout the movie, another journey-type movie). The movie itself is about human relationships and the slow slip into madness. It’s the story about what might happen to a group of people who start to lose their bearings, as well as the story of the perpetual search for life’s answers. While the scope of YBR is ambitious, and the first half of the movie entertaining, the plot is already running on fumes by the two-third mark. At that point everything has been said and there is nothing much left to keep viewers engaged. Jesse Holland and Andy Mitton might have bitten more than they could chew since YBR could have benefited from a shorter length (75mn or so maybe) and better editing near the end, but for a first full feature, YellowBrickRoad shows great potential and I’m looking forward to what they have in store next. 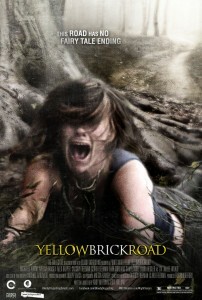 Click Here to watch YellowBrickRoad Online Now!